6 Unusual Hearing and Balance Disorders | Main Line Audiology Consultants, P.C. Hearing loss is a widespread problem in the U.S., one affecting 48 million people – approximately 20 percent of the entire population. The chances you know someone who has hearing loss are around 1 in 5. Generally, hearing loss is due to prolonged exposure to loud sounds or simply the consequences of aging. For some individuals, though, hearing loss is a symptom of a less common condition. Benign paroxysmal positional vertigo (BPPV) is dizziness is related to a collection of calcium carbonate crystals, called “ear rocks,” that form inside the inner ear. The medical name for these crystals is otoconia. Otoconia typically involves a head injury, an infection, or similar disorders. Symptoms of BVVP include dizziness, poor balance, lightheadedness, and nausea. They may worsen with changes in head position. BPPV can resolve itself, but there are treatment options available including head exercises designed to move the crystals out of the inner ear structures. Drug therapy i also sometimes used and, occasionally, surgery. Labyrinthitis is a swelling of the inner ear and hearing nerves usually due to a viral, or less commonly, a bacterial, infection. This swelling interrupts the transmission of sensory information to the brain, causing difficulties with balance, hearing, and even vision. Treatments option will include antiviral or antibacterial drugs and therapies used to control the symptoms of dizziness or nausea. If quickly diagnosed and treated, labyrinthitis usually causes no permanent damage. However, if left alone, permanent hearing loss can result. Ménière’s disease is an inner ear disorder that may cause vertigo, progressive hearing loss, ringing in the ears, and a feeling of fullness or pressure in the ear. The acoustic neuroma is a rare tumor of the hearing and balance nerves that disrupts the transmission of hearing and balance data to the brain. Although this benign tumor does not spread to other organs, it can become large enough to cause hearing loss and balance problems. AIED is a rare, progressive condition directly related to immune cells attacking the inner ear. Like most autoimmune disorders, the cause is not well understood. 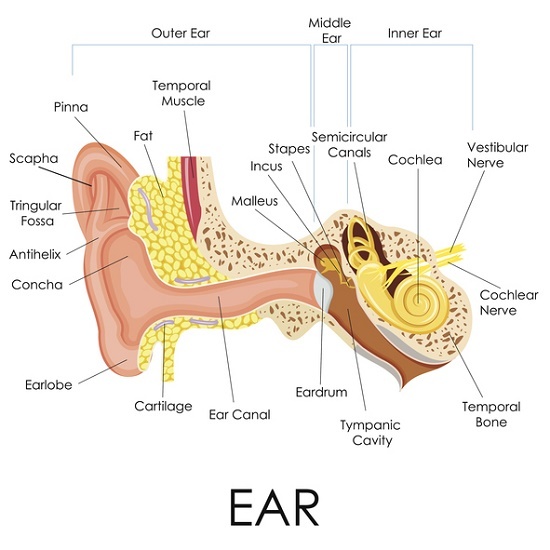 Treatment options are limited but growing, currently, they include some combination of steroids, other medications, plasmapheresis, and hearing aids or cochlear implants for hearing loss. Otosclerosis is a condition that involves the hardening of bones in the inner ear bones. These bones are critical elements in the transmission of sound vibrations to the inner ear and then to the brain. The hardening of these bones interferes will eventually lead to slowly progressing hearing loss. Otosclerosis tends to run in families. If one parent has the disorder, there is a 25 percent chance of the child developing it, as well; two parents have the condition, that likelihood increases to 50 percent. It’s important not to ignore symptoms of hearing loss or changes in balance. Although these conditions are not common, they are all best treated early.